Malta’s changeover to electric cars will be as drastic as the time when the country changed to decimals and later to euros, Prime Minister Joseph Muscat said on Wednesday. 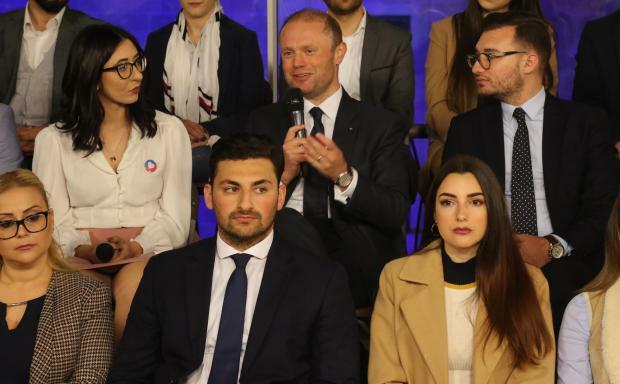 Speaking at a Forum Żagħżagħ Laburisti activity at Is-Suq tal-Belt, Dr Muscat said that the change will not take place over a day but a date would be given and from that day onwards no more petrol and diesel cars would be imported. Those who already have such cars would be able to keep them but new cars would have to be electric. The change was to be a drastic one, it would change the countries’ culture and it would also change how other countries looked at Malta. Dr Muscat said it had been suggested that since Malta would be undertaking such a major change, it should also consider changing its driving direction. The Prime Minister said he was not saying this was going to be done but it was something worth discussing and considering. On the Malta-Gozo tunnel, the Prime Minister said this had been a Nationalist government idea and both parties had promised it in their electoral manifesto. He said that between 2013 and 2017 he had been criticised that nothing had been done. This was not the case as studies were then being held. The government was willing to continue to listen and consult but it was now at the stage not of if but of how. On quotas, the Prime Minister said that the government did not intend to introduce quotas since these would not be fair. But it would be submitting proposals for a minimum 40% level of representation by each of the sexes.